"Doyville is a 16hh thoroughbred gelding by Doyoun out of Mannevillette with Epson Derby winner Mill Reef as his paternal grandsire and Kentucky Derby winner Foolish Pleasure as his maternal grandsire. He is half brother to successful racehorse and now stallion Daylami. Doy was bought for me in 1995 by my Mum as an early 18th birthday present, he was 3 and I was 14, so I have owned him for nearly 17 years over which time we have forged a close partnership and shared some brilliant times. He has always been incredibly laid back with a kind and sometimes mischievous temperament. My 9 year old nephew has been leading and riding him since he was a toddler but I tell people that he also has a 'ferrari' engine and can gallop with the best of them. We have done a bit of everything over the years and now we mostly enjoy hacking and fun rides. I started feeding Doy Farrier's Formula in 1996 as I was finding it difficult to keep shoes on him - his hoof wall crumbled easily and he often had risen clenches or loose shoes. He has been given Farrier's Formula for nearly 16 years. During this time his hooves have improved tremendously. I attribute this to a combination of Farriers Formula, Life Data Hoof Disinfectant and a good farrier. Doy also has an incredibly shiny coat and people are always commenting on how well he looks. 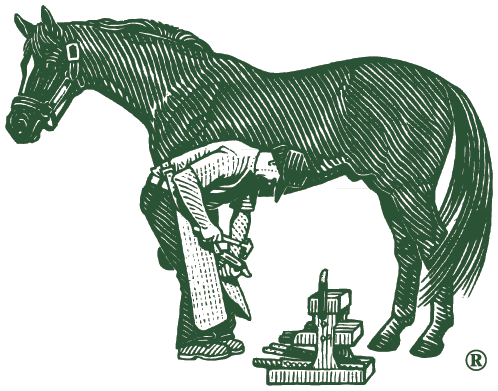 He is a testament to Farrier's Formula and I no longer have to worry about his shoes staying on."